Come On Gang’s catchy new single ‘Fortune Favours the Brave’ combines folky vocals with power rock guitar licks, and is available for free download from their site. Livingston emo kids Hold The Suspect have an E.P out called ‘Are You Home Yet?’ featuring punk, power-pop and progressive influences. The E.P is available on CD from the band. 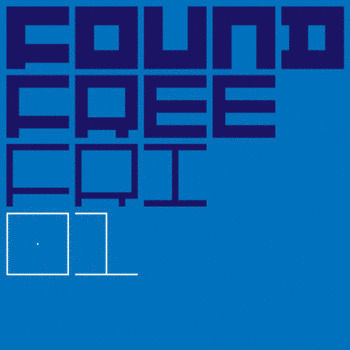 Newly signed glitch-folk collective FOUND are giving away free music every Friday until their album comes out in March 2011 on the Chemikal Underground label. Visit their site every Friday to see what treat you’re getting this week. They’re calling it #FoundFreeFri. Indie scenesters The Nature Boys’ EP ‘Pretty’ is available on CD from the band. The music on the EP is reminiscent of such diverse influences as Isa and the Filthy Tongues, Art Brut and Adam and the Ants. Edinburgh rap-rock scene-pioneers Stanley Odd have released a remix of their single ‘Think of A Number’ produced by Circular Records label-mate Mangomad, who in turn will be releasing a single ‘A New Parable’ on 1st Nov 2010, featuring Stanley Odd lead vocalist Solareye. Grunge trio Scrap Brain are giving away a four-track demo for free via Bandcamp, Tweet For A Track or Direct Download. The demo includes three live favourites and an acoustic version of a fourth track. If you know of any other new releases in Edinburgh or throughout Scotland, add a comment below.